Whether you’re looking for a booking, special offers, or just want any kind of information, you’ll find many ways to contact us right here. We’ll help you resolve your issues quickly and easily, getting you back to more important things, like enjoying the best camping holidays ever! If you are coming from the North of Croatia (Zagreb, Split..), exit the highway at Ploče and take a ferry heading from Ploče – Trpanj. The town of Trpanj is only a half an hour drive away from our campsite. 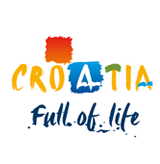 The other option is driving in the direction of Dubrovnik and after crossing the border with Bosnia at Neum, turning right towards the Pelješac peninsula. There should be no problem with crossing the border, just make sure you have all your travel documents with you. When you reach the peninsula, your drive to Orebic will be approximately one hour long. Coming from the south of Croatia (Dubrovnik) or Montenegro? The nearest airport is in Dubrovnik. Your drive along the beautiful landscapes should be very easy and comfortable. 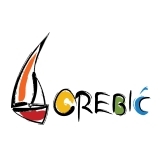 Enjoy the 2 hours of driving from Dubrovnik to Orebic!